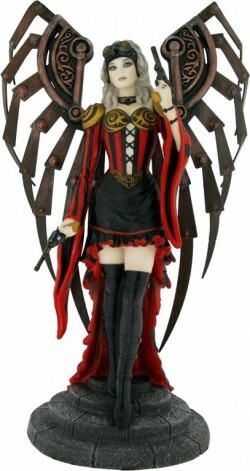 Beautiful finished steampunk angel figurine from the Anne Stokes collection. The Avenger is a semi-mechanical steampunk style angel, walking down a set of rounded stairs. She carries a pair of revolves and looks ready to do some avenging.